Yesterday The EUR/USD currency pair continued a correction, an ascending movement of the price is becoming weaker and weaker. 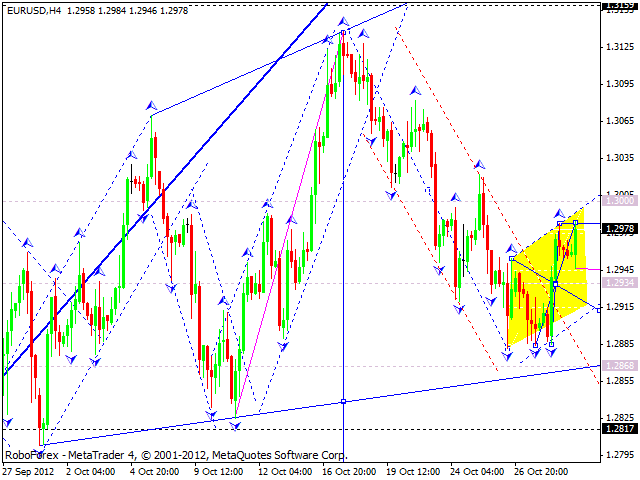 Today we can see that the pair is trying to continue moving upwards and reach the target at 1.3000. It may be the end of this ascending wave and later we can expect the price to fall down and reach the level of 1.2870. 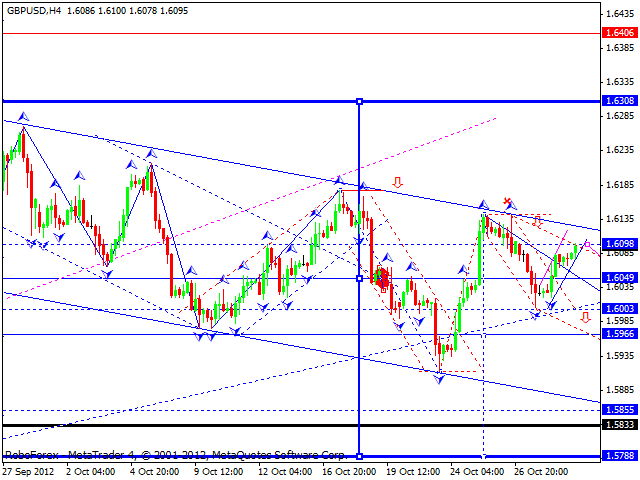 The GBP/USD currency continues an ascending correction towards the previous descending wave. Today the price is expected to break an ascending channel downwards and continue falling down. 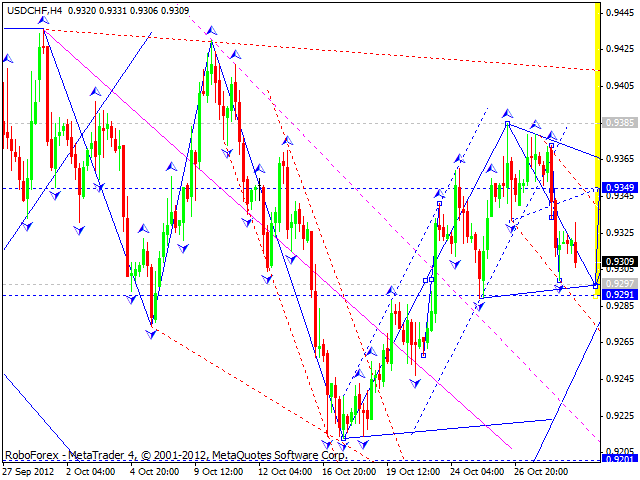 The USD/CHF currency pair also continues a corrective movement. The target of this descending wave is at the level of 0.9290. Then the price is expected to make a reverse and start growing up towards the target at 0.9400. 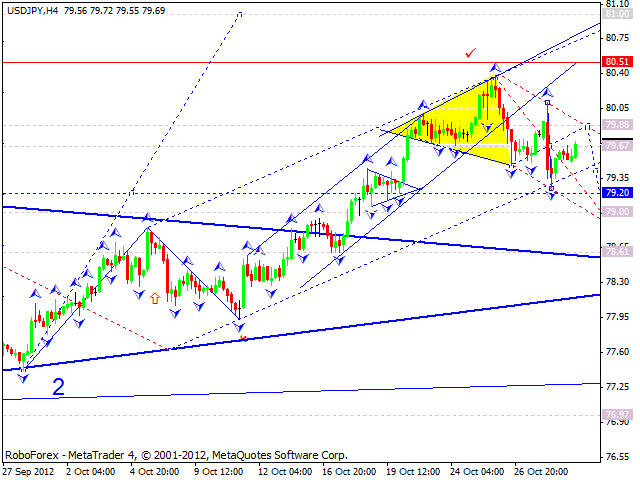 The USD/JPY currency pair continues forming a corrective wave. Today we can clearly see a couple of descending impulses and are expecting the third one with the target at 79. 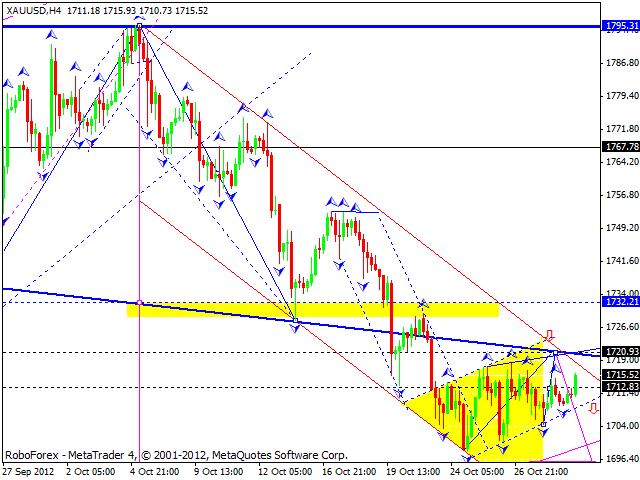 It may be the end of the descending correction and later the pair may start growing up towards the target at 80.50. 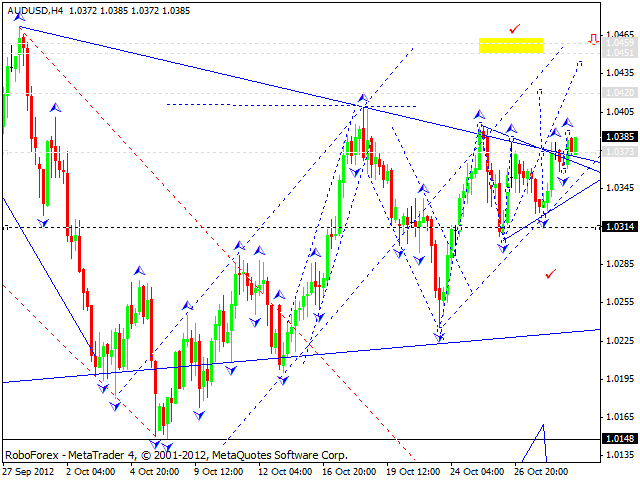 Australian Dollar is still moving near “triangle’s” upper border. Today we can see that the price broke the pattern upwards. The pair is expected to reach the first target at 1.0420, return to the level of 1.0373 and break it from above, and then start another ascending wave towards the target at 1.0450. Gold continues moving below the “neckline” of “head & shoulders” reversal pattern, this consolidation may continue for some time. Today the price is forming the fifth part of this consolidation. The target is at 1720. It may be the end of the consolidation and later the instrument may continue falling down towards the main target at 1670.